This excerpt from Joe Costello's RC Sigs Militaria web page provides some background information on Cap D'Espoir. "A land purchase was authorized in December 1940 and operations were placed in the hands of the RCAF as soon as the base was built. Control was handed over from the RCAF to the RCN Navy on 26 June 1942 in exchange for 'like equipment'. This station was located in Quebec's Gaspé Peninsula and it provided both DF operations against U-boats and carried out "Y" intercept in a separate building. This site was operational 24 hours a day and was manned by a Petty Officer who was in charge of 10 operators and one motor mechanic. 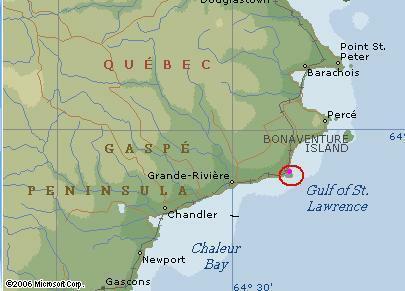 On November 11, 1942 the Cap D'Espoir "Y" building was completely destroyed by fire and all equipment was lost. The operators who stood the last watch before closing down for the night, reported that conditions were normal; they had shut down all motors, stoves banked for the night, drafts closed, and station locked and made secure. The investigating officer for the RCMP was of the opinion that the fire was caused by some kind of fault with the coal stove, although the station investigating team revealed nothing to collaborate that theory. There were plans to expand the station in 1944. More barracks were planned but were never built. The land and buildings were officially declared surplus in January 1946 but the station was likely closed earlier". * Additional land in order to provide a walkaround and also to maintain calibration stakes for the DF antenna. * Minor changes to existing 'Y' (intelligence) building such as doors and windows. * An Auxiliary Power Building (APB) to house two 4 KW motor-generator (M-G) sets. Each would be fitted with 50 gallon fuel tanks. * An 1850 foot, 5 pair, buried telegraph cable between the Y' building and the APB. 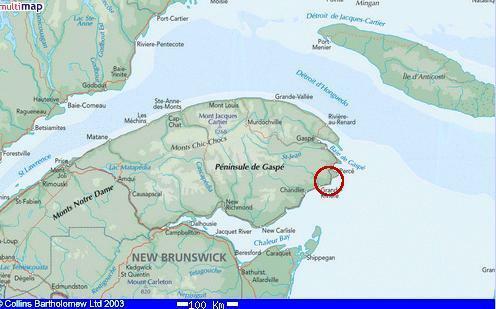 * Arrange for the Canadian National Railway (CNR) to install a telegraph line between the Cap D'Espoir train station and the CNR Commercial Telegraph office in Cape Cove some 3,000 feet away. 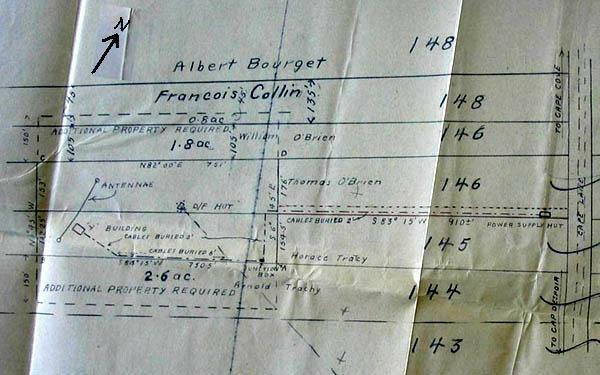 * Arrange with the Bonaventure and Gaspé Telephone Company to construct a private line from the CN Commercial Telegraph Office at Cape Cove to the APB (2,880 feet) and make connection to the buried telephone and telegraph line. 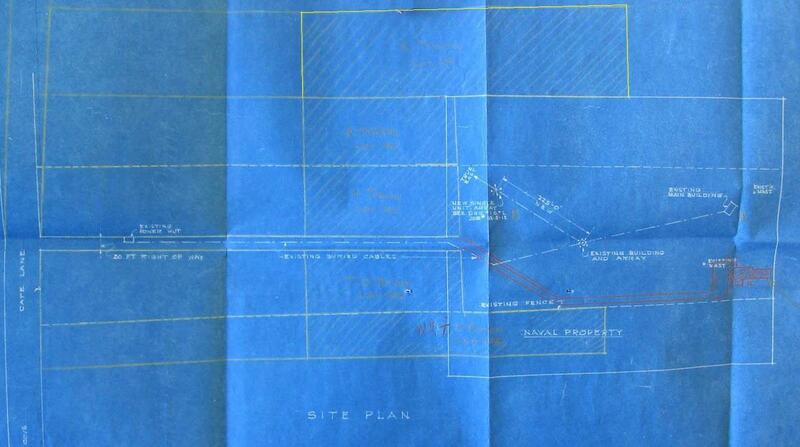 Not listed in this requisition but clearly seen on later blueprints was an additional single unit DF site some 225 feet away from the existing multi-unit  array plus living quarters. It is believed that there was only one "expansion" which was initially discussed in 1942 and possibly executed sometime between 1942 and 1944. On May 21/45, the Canadian Naval Service approved  the closing down and disposal of Harbour Grace and Cap D'Espoir 'Y" Stations on completion of "Stage 1" (not defined) . Personnel trained in German procedure who will not be required for "Stage II" were demobilized. The Department of Transport was thanked for their co-operation and informed that no further German "Y" interception will be required. 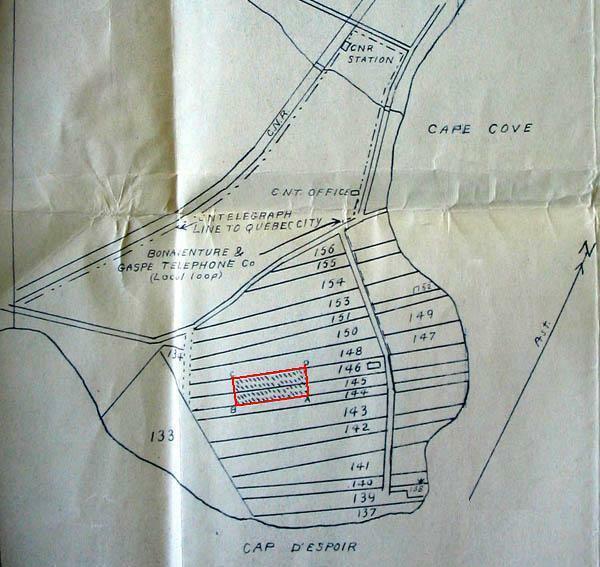 In another letter dated Jan 15/46, the Naval Surplus Disposal Committee valued the Cap D'Espoir W/T station, land and buildings at $8,829. It is hard to believe that any wartime monitoring station could operate on anything less than a 7 x 24 schedule.The requirement for 24 hour operation is probably a descriptive qualifier for the project. The DF type is not confirmed at this time but it is believed to be the CNF-4. 2) History of Canadian Signals Intelligence in Canada by Lynn Wortman and George Fraser.